You won’t believe how delicious this simple recipe is. 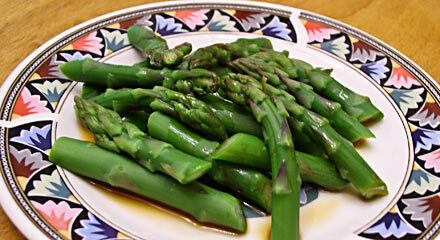 The asparagus is barely cooked and retains its bright green color. Mix all the ingredients for the dressing. Just before serving, put the asparagus into a bowl. Remove the garlic from the dressing and toss the dressing with the asparagus.